On the other hand, if you don’t think of yourself as being old, you won’t act and behave “old”. Your thoughts are powerful…. so be careful and deliberate in what and how you think! Research indicates that “retirement” as our parents and grandparents viewed it isn’t such a good thing for us to keep a positive mental attitude about life. Turns about, these “old” attitudes can do us more harm than good. Below are some helpful ideas to live by if living a full, rich life as you get older is important to you. * Keep Busy – A rocking chair IS NOT the way to achieve the “Fountain of Youth”. Keeping active, both in body and mind is the best way to live a long and productive life. * Write Your Own Road Map – Decide how you want to spend your older years. Do you want to start a business, travel the world or follow some other passion? The choice is yours. My point is this, deciding how you want to spend your remaining life is empowering and allows you to live with intention. Nothing creates a more positive mindset and outlook than doing what’s important to you. Don’t just do what everyone else does, don’t just go with the “herd” and be left feeling frustrated and unhappy. * Cultivate Healthy Relationships – The relationships you cultivate with family and friends can make the difference in how you view the rest of your life. Taking trips and learning new things are not only better when done with someone you care about, financially they they might be more doable and overall, they are just a lot more fun. Take the necessary steps to develop a positive mental attitude that will help you develop a optimistic outlook as you go through your own, individual aging experience. 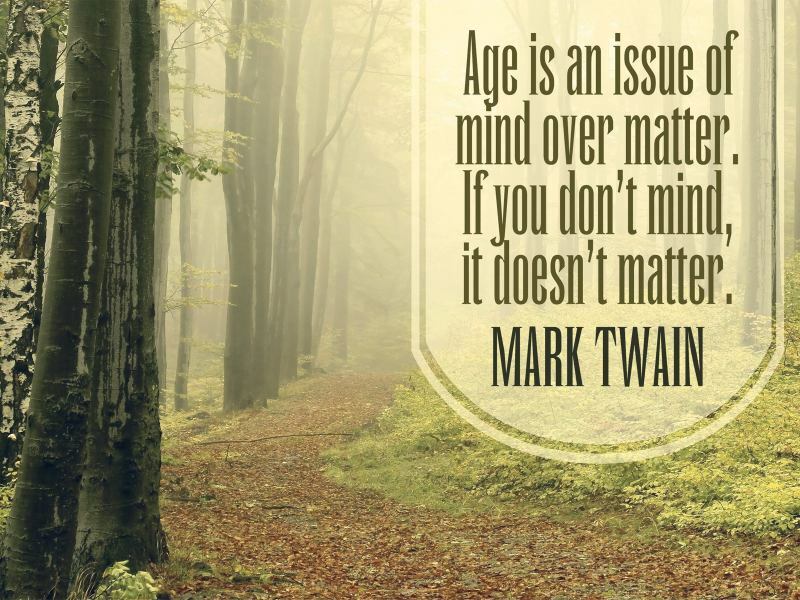 What is your Aging Attitude telling you? What about your attitude might you want to change? What attitude would you have to embrace to live a rich and full life (regardless your age)?